World Food Day is a day of action against hunger, where people come together to declare their commitment to eradicate hunger. When it comes to hunger, the only acceptable number in the world is zero. 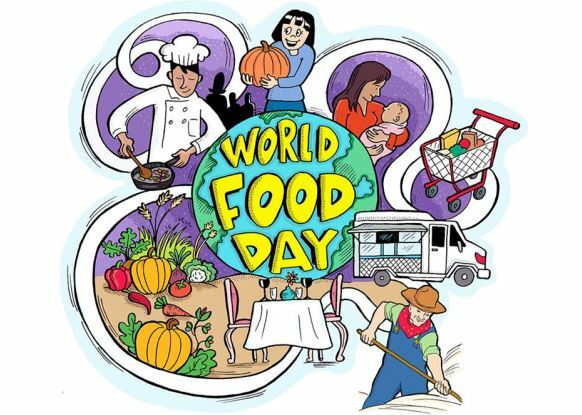 Established by Food and Agriculture Organization of the United Nations has been observed since 1979 in almost every country by millions, including organizations that are concerned with food security, World Food Programme and the International Fund for Agricultural Development. Here are some food-saving tips that you can implement in your daily lives. 1. Cook only what you can eat! That way, you not only reduce waste, you also save money! 2. When organizing gatherings and parties, please try to prepare appropriate amount of food so as to avoid wastage. 3. Before ordering, consider if you can finish all the food. Over-ordering is a common mistake that we all make!